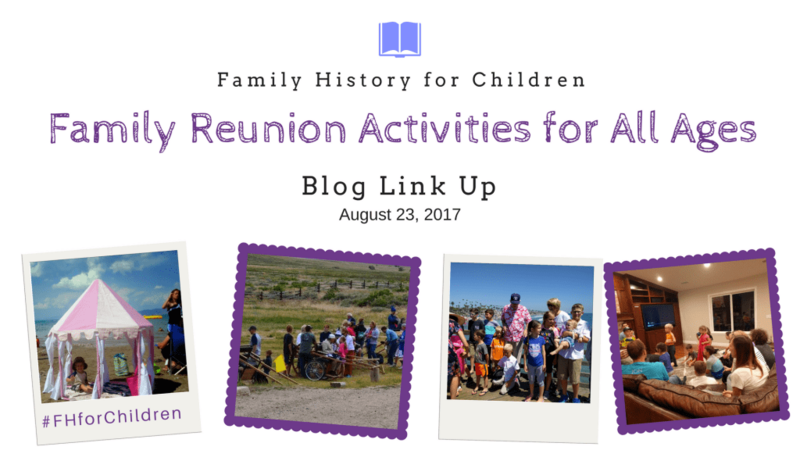 What activities has your family done at reunions to engage all ages? How have you passed down important family stories, values, and heritage at these gatherings? 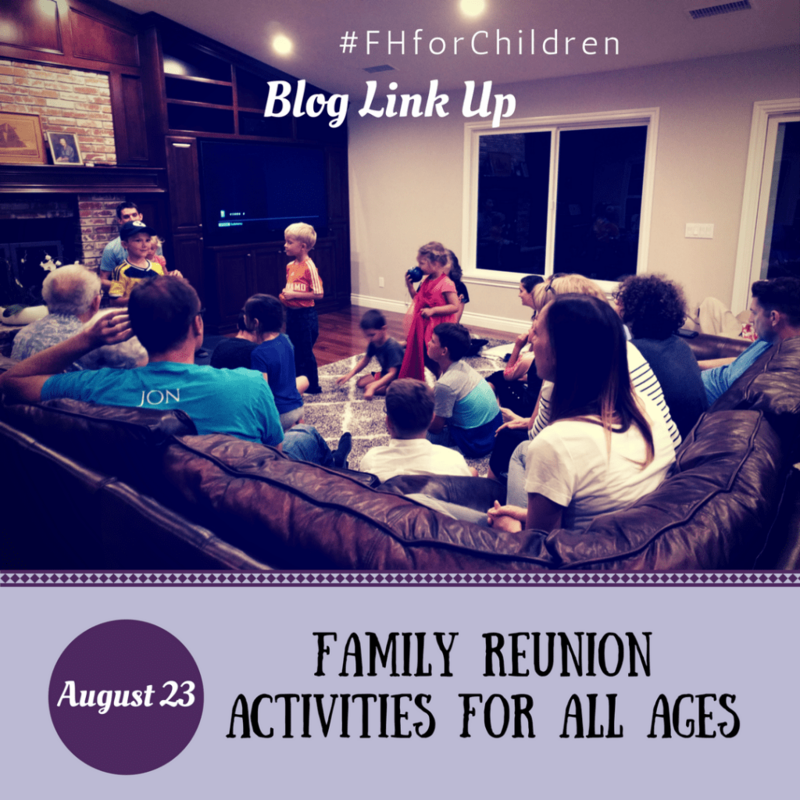 Share your family’s reunion traditions with us this month in our blog link up. Here are some ideas for what to post. I’ve come across many wonderful descriptions of family reunions and the creative ideas that others have carried out. Check out a list of those here: Web Index of Family History Ideas for Children and Teens (you’ll see the reunion category about halfway down the page). 3. Upload your image by August 22. 5. Set your post to publish on August 23 and link back to this page. If you’d like to, you can use the photos and link up to the other bloggers posts. Feel free to use the images I created. 6. On August 23, share the link up on social media using #FHforChildren. Share 2-3 of your favorite posts from fellow bloggers in the link up.